The Shine Project employs low income American youth to hand make their oh so stylish, and gorgeous bracelets so that they are able to pay their way through college. Make sure to visit their website, www.theshineproject.com, for more information and to view their products! 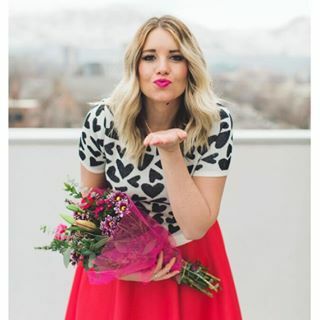 Want to win some mula to shop with? Visit my instagram (@jalynnschroeder) to check out the giveaway (same picture posted as above). 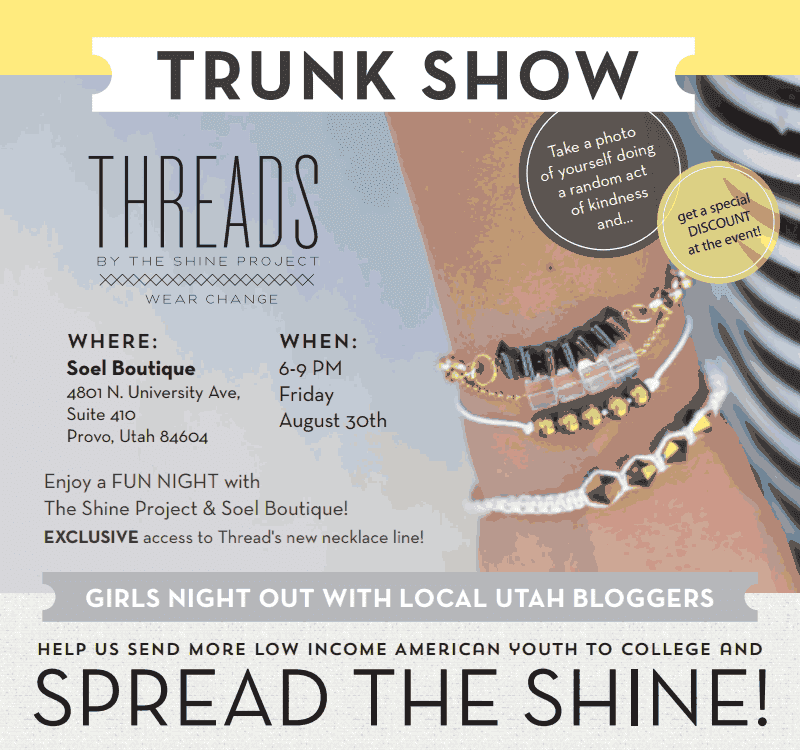 All you have to do is re-post, follow @soelboutique and @theshineproject and you will be entered to win a $25 Threads credit AND $25 to Soel to spend that night! 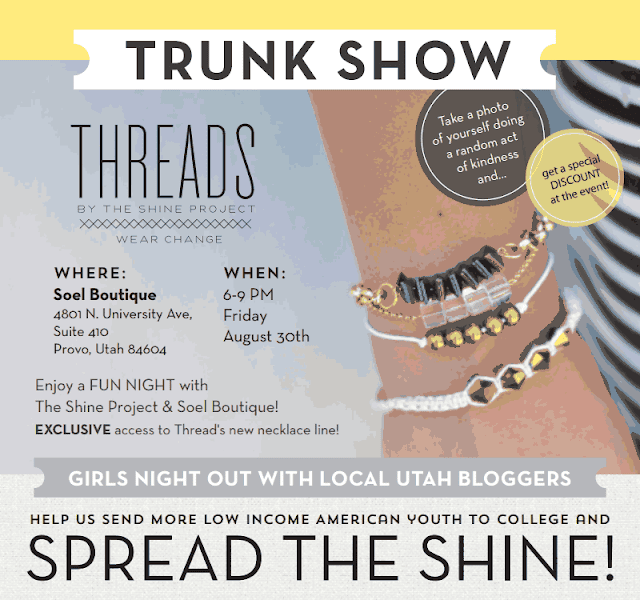 Be sure to hashtag #utahshine and we will see you there!! !